Dogs with babesiosis present with moderate to severe haemolytic anaemia and clinical illness characterized by fever, anorexia, depression, pallor, splenomegaly and a bounding pulse. Coinfection with Babesia spp. and other tick-borne pathogens has been documented and when present, may complicate interpretation of the clinical presentation and diagnostic assays. 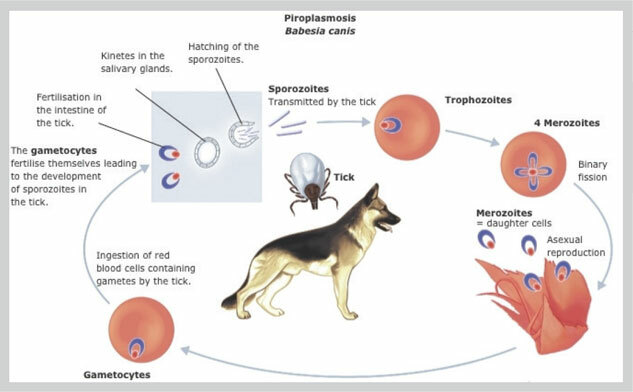 Canine Babesiosis, known as tick-borne protozoan disease, worldwide is characterized by haemolytic anaemia, thrombocytopenia, febrile illness, splenomegaly and intraerythrocyte protozoan parasites of the genus Babesia. Real time PCR is based on the detection of the fluorescence produced by a reporter molecule which increases, as the reaction proceeds. This occurs due to the accumulation of the PCR product with each cycle of amplification which leads to increased fluorescence. These fluorescent reporter molecules include dyes that bind to the double-stranded DNA (i.e.,SYBR® green) or sequence specific probes (i.e.,Molecular beacons or taqman® probes). These advantages of the fluorescence based Real time PCR technique have completely revolutionized the approach to PCR-based testing of DNA and RNA. 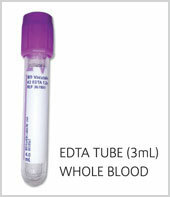 Identifying the parasite through blood smear evaluation is difficult because of the small size of the organism (B. gibsoni) and relatively low levels of parasitemia. Low sensitivity, and are compromised by cross-reactivity between species. Antibody response to Babesia infection typically takes 8 to 10 days to develop and some clinically affected dogs, especially puppies, initially test negative.